A community volunteer is a person with the passion to help create a safe and healthy environment for our children by assisting GAB in providing resources to help communities stop bullying. A volunteer will work to help GAB promote self-esteem and character building among our children. There are many areas of involvement for volunteers that can meet anyone’s level of interest. By completing the Volunteer Application, you can check any areas that interest you. GAB enjoys the generous support of our community volunteers who serve on our board, help our staff with our programs, special events, and fundraisers. Without our dedicated and passionate volunteers, we would not be able to meet the increasing demands for our services. Please consider volunteering to help us “change the culture of learning” where everyone’s uniqueness is celebrated in our diverse culture. Below are just a few volunteer opportunities we encourage you to consider. If you have another skill set that you can bring to Generations Against Bullying not shown on the list below, please contact us now. Generations Against Bullying (GAB) is proud to announce the following Internships available. These internships will help GAB to increase the awareness of the national epidemic of bullying, and offer an opportunity for students to fulfill internship obligations. Please consider applying for an internship that fits with your interest. We look forward to hearing from you soon. Generations Against Bullying (GAB) is seeking a skilled accounting intern to assist in providing accounting support to office operations. About GAB: GAB is a non-profit organization that brings a community of children, parents, administrators, educators, businesses, and local law enforcement together, to work out solutions to put an end to bullying. We work closely with mental health professionals to help victims, and the bully, to reduce the emotional scarring that comes from the lasting effects of bullying. We want to take an active role to stop bullying, help the perpetrator, and provide an outlet for the victim. Our programs are intended to increase the self-esteem and empathy of both the victim and the perpetrator. The vision for GAB is to provide a safe, positive environment for all children and teaching students and schools how to be Upstanders. • Pleasant with others on the job and display a good-natured, cooperative attitude. Generations Against Bullying (GAB) is seeking a skilled criminal justice intern to assist in ongoing research of current law(s) and how bullying & cyber-bullying are being handled by law enforcement agencies. Generations Against Bullying (GAB) is seeking a skilled telemarketing intern to assist in providing donation and communication support. • This includes customer needs assessment and surveying. Performs administrative and office support activities for the Executive Director. Duties may include fielding telephone calls, word processing, filing, faxing, money handling, basic accounting and bookkeeping. Prepares reports and financial data. Software skills are required, as well as Internet research abilities and strong communication skills. Google Drive, Facebook and Constant Contact knowledge is helpful. GAB is a non-profit organization that brings a community of children, parents, administrators, educators, businesses, and local law enforcement together, to work out solutions to put an end to bullying. We work closely with mental health professionals to help victims, and the bully, to reduce the emotional scarring that comes from the lasting effects of bullying. We want to take an active role to stop bullying, help the perpetrator, and provide an outlet for the victim. Our programs are intended to increase the self-esteem and empathy of both the victim and the perpetrator. The vision for GAB is to provide a safe, positive environment for all children and teaching students and schools how to be Upstanders. Generations Against Bullying (GAB) is seeking a skilled event coordinator and fundraiser to coordinate activities of staff, clients and partners, to make arrangements for group meetings, fundraisers, conventions and other events, as well as solicit fund through other means, and raise awareness of the organization’s efforts, goals, and financial needs. Research available grants and write proposal, fill out applications, compile required documentation and prepare other requirements from foundation/organization giving grants, send all documents, correspond with contact persons as needed to ensure successful approval of as many grants as possible and document all results, as well as stewarding grant sources as needed. • Perform prospect research on foundations and corporations to evaluate prospects for corporate and foundation grants. • Work with finance to gather information necessary to report to corporate/foundation funders on current grant programs. Generations Against Bullying (GAB) is seeking a skilled graphic design intern to assist in ongoing development of our organization’s website and promotional material to help raise awareness of our vision. • Work closely with GAB project team to translate their messaging concepts into marketing materials. Generations Against Bullying (GAB) is seeking a skilled information technology intern to assist in helping to maintain our computer-based information system that is used to help raise awareness of our vision and mission. • Assist in design, operate and help maintain the organization’s technology products. • Work closely with GAB team in computer troubleshooting and answering IT questions. • Coordinate the development and production of internal and external publications, promotional materials, and communications, including web-based communications and social media outlets; and edit, proofread, and design materials as needed. • Review and select vendors for advertising and production of promotional materials. • Evaluate marketing efforts for effectiveness. • Assist with strategic planning for assigned areas. Generations Against Bullying (GAB) is seeking a skilled mental health/social welfare intern to assist in ongoing research on how mental health departments are handling bullying. Performs administrative and office support activities. Duties may include fielding telephone calls, word processing, filing, faxing, money handling, basic accounting and bookkeeping. Prepares reports and financial data. Software skills are required, as well as internet research abilities and strong communication skills. Google Drive, Facebook and Constant Contact knowledge is a must. About GAB: GAB is a non-profit organization that brings a community of children, parents, administrators, educators, businesses, and local law enforcement together, to work out solutions to put an end to bullying. We work closely with mental health professionals to help victims, and the bully, to reduce the emotional scaring that comes from the lasting effects of bullying. We want to take an active role to stop and help the perpetrator, and provide an outlet for the victim. Our programs are intended to increase the self-esteem and self-worth of both the victim and the perpetrator. • Checks P.O. Box, opens and sorts mail and delivers to appropriate personnel. • Responds to email inquiries and/or route them to appropriate personnel. • Proofreads reports and written documents for grammar, punctuation and spelling errors. • Creates draft communications for the director’s overview. • Collects dues, fees, donations and other income. • Responsible for creating, maintaining and updating databases. • Send out monthly reminders with Board minutes and announcements. • Responsible for maintaining electronic and paper filing systems. • Handles basic accounting and bookkeeping. • Tracks income, makes bank deposits and completes monthly bank reconciliation. • Prepares payroll, generates checks for vendor supplies, generate invoices. • Prepares monthly financial statement for review and distribution. • Keeps office organized and running efficiently. • Oversees office supply inventory (Ordering as needed) and interviews new vendors. • Maintains office equipment such as fax machines, video projectors, phone systems and copiers. • Calls for repairs as needed. • Communicate with various schools throughout Wisconsin. • Respond to National email inquiries. • Prepare and mail out Thank You letters, Certificates of Appreciation. • Help with planning of Fundraising events.  • Attend GAB Events when available. • Create and send out Newsletters, Press Releases, Special Event communications. • Maintain and update folders, make sure all documents are in the drive and in proper folders. • Monitor Facebook page, update regularly with GAB activities and events. • Field communications between Peer Ambassadors and GAB staff. • Attend Peer Ambassador Trainings when available. • Maintain all Board Member, Community Volunteer and Peer Ambassador Lists. • Keep Sponsor lists current. This is a person with a passion to help our young Upstander Peer Ambassadors develop a positive character by promoting self-worth, dignity, and compassion. Learning GAB’s Upstander Peer Program will provide the intern tools and knowledge to develop the non-threatening skills necessary to defuse a bullying situation. Learn how teach the importance Peers need to treat each other despite cultural and physical differences, as well as help them experience a wonderful, long-lasting connection of friendship and respect with our young adults. Interns will gain exposure to GAB’s unique, non-profit, community based, anti-bullying model (GAB will provide a short workshop as needed). Their experience will include teamwork, marketing, community outreach, and use of various social media. The commitment that is desired is someone who can commit to once a month meeting of about 1 ½ hrs. during the school year (9months). Interns may want to attend other Upstander Peer Ambassador special events when they occur. • Coordinate monthly Upstander Peer Ambassador meetings. • Research, develop, and maintain materials, statistics for monthly training sessions. • Help facilitate Upstander Peer meetings, including distributing the agenda and materials. • Schedule and assist in Upstander Peer Event planning.  Generations Against Bullying (GAB) is seeking a skilled Program Curriculum and Developer Intern to assist in coordinating and developing teaching strategies for our Upstander Peer Ambassador program that is used to help raise awareness of our vision. Generations Against Bullying (GAB) is seeking a skilled Social Media Specialist to manage GAB’s overall presence on Facebook, Instagram, Twitter, YouTube, Pinterest, Google+ and others, often using Buffer, and effectively execute social media strategies that support GAB’s audience. • Monitoring links and pages on sites regularly to ensure that information is current and functional. • An opportunity in striving to make our world a better place by ending bullying and giving hope to our community. Generations Against Bullying (GAB) is seeking a skilled videographer intern to assist in ongoing development of our organization’s website and promotional videos to help raise awareness of our vision. Generations Against Bullying (GAB) is seeking a skilled website designer to help create amazing user experiences. The ideal candidate should have an eye for clean and artful web design and have knowledge of WordPress. • Excellent written & oral communication skills are required along with the ability to establish good working relationships with a wide variety of people. Were you blessed with a talent we may have not listed above? We’re always looking exceptional people that believe in our cause. Please Contact Us Now if you’re interested in joining our team.